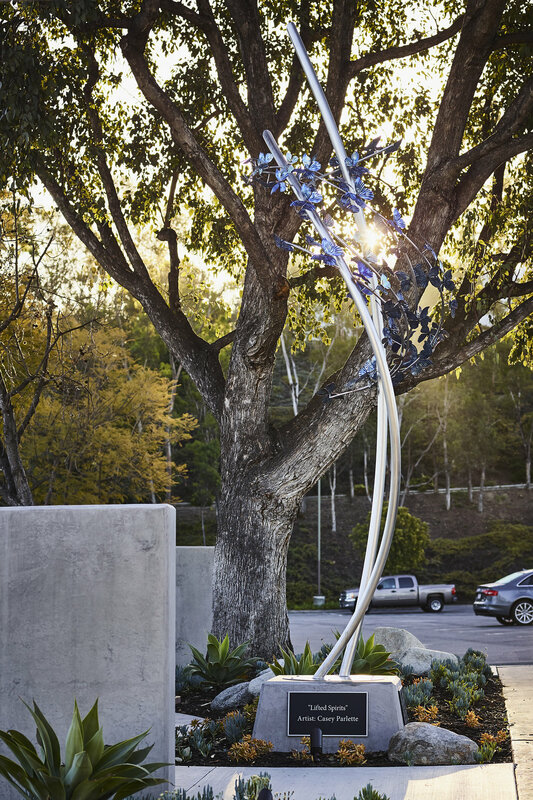 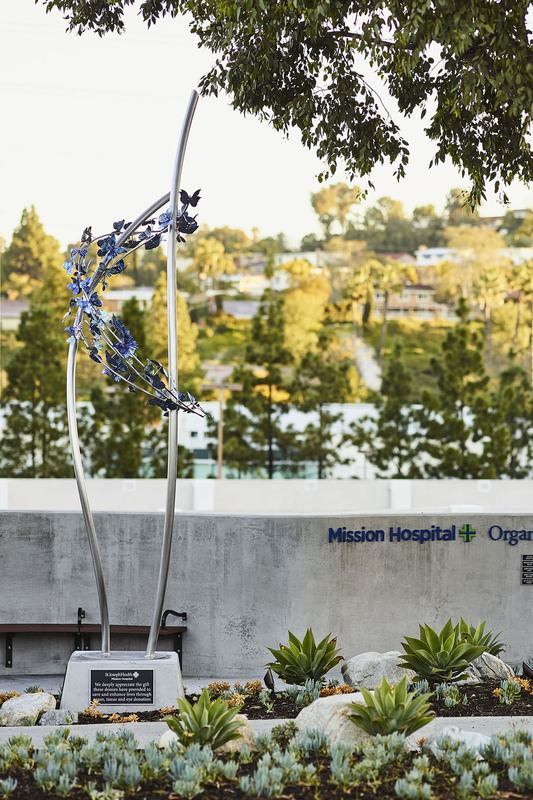 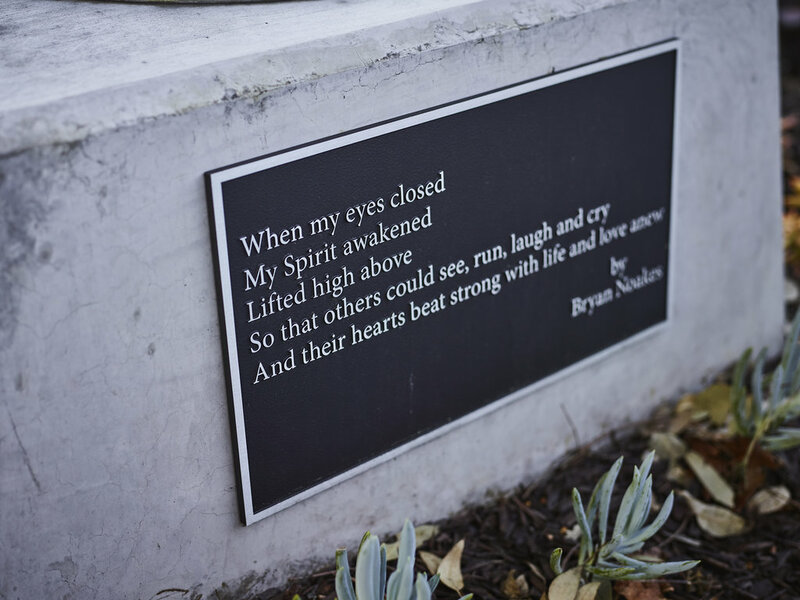 Lifted Spirits was commissioned by Mission Hospital in Mission Viejo, California as a memorial to organ donors to be installed in an exterior space. 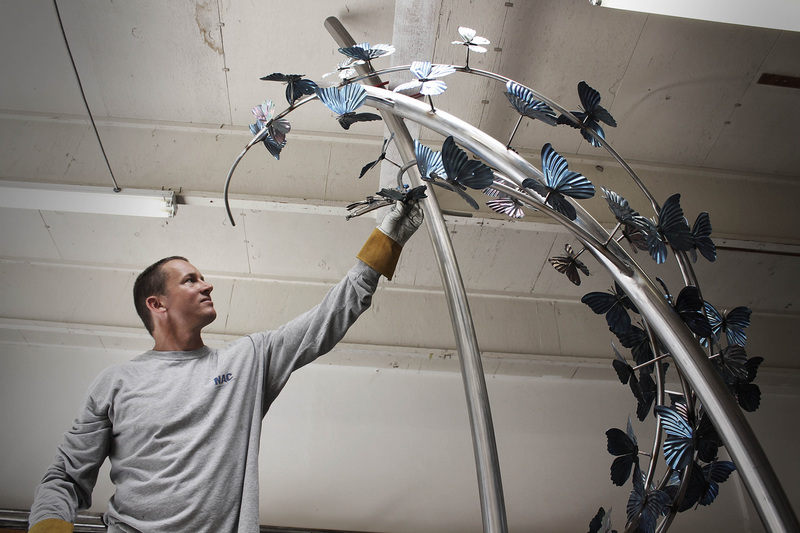 The object was to create something inspiring and uplifting. 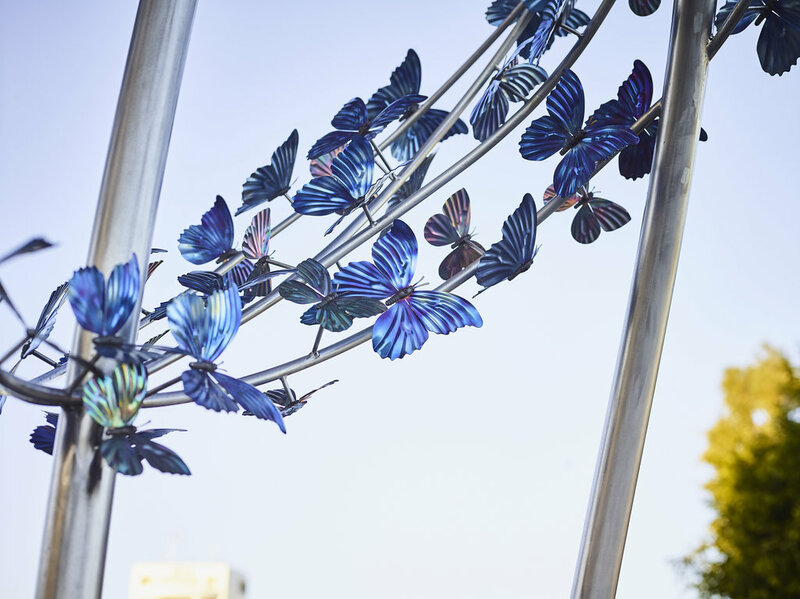 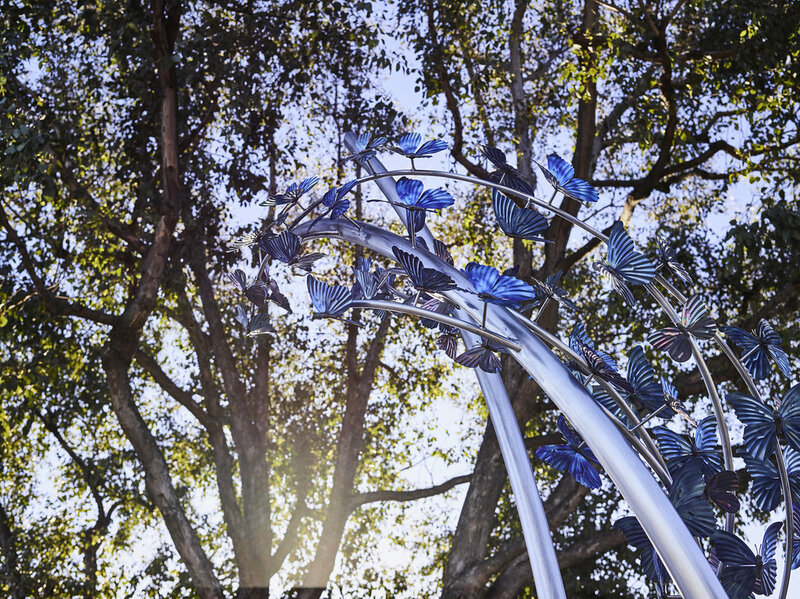 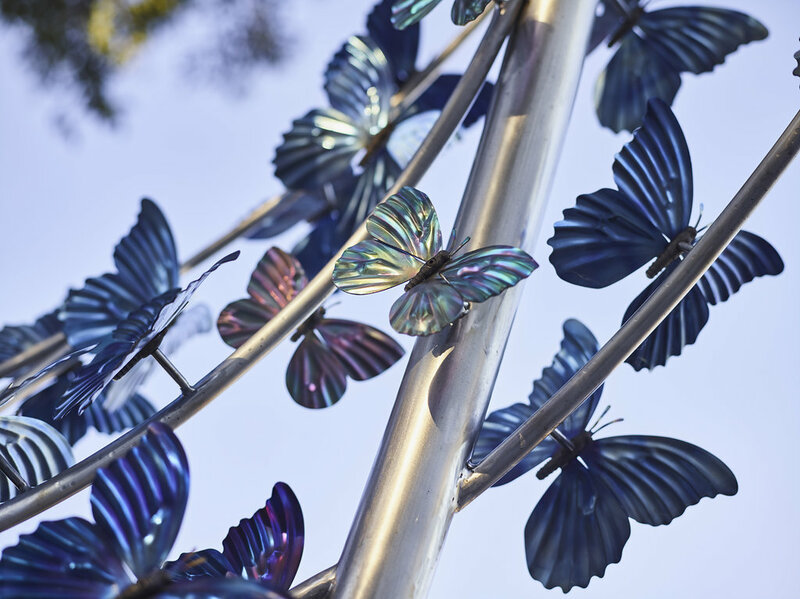 The result was a colorful swath of blue and green titanium butterflies spiraling heavenward around a tall, gracefully twisting stainless steel base. 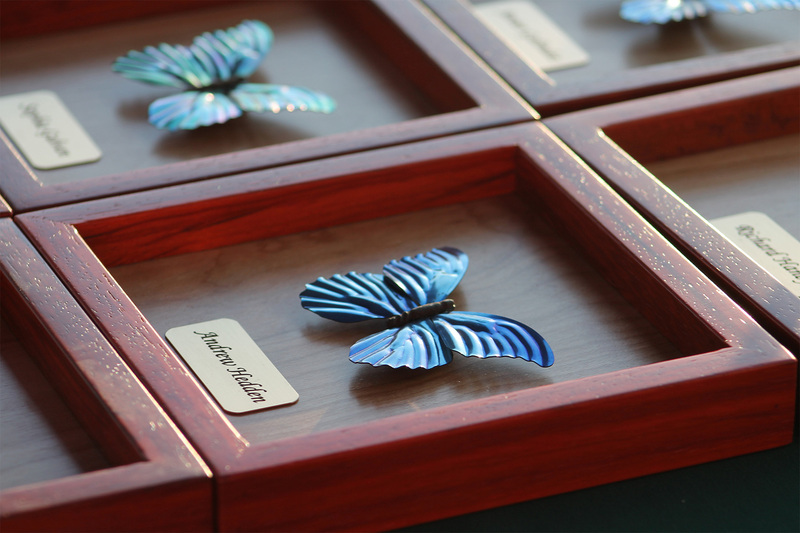 There is significance to the colors of the butterflies; the blue butterflies represent the adult donors while the smaller green butterflies represent the child donors. 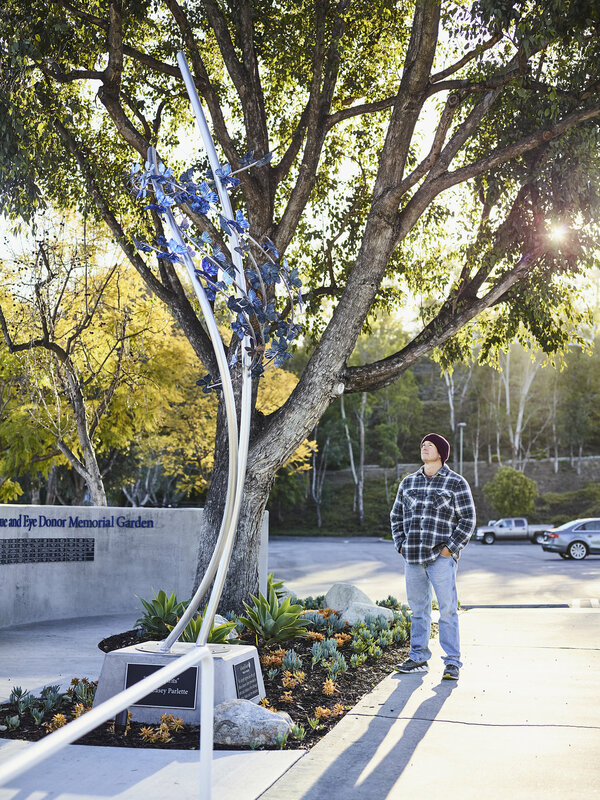 The artist was particularly inspired by this project and felt a responsibility to the families of the donors to make this piece something special. 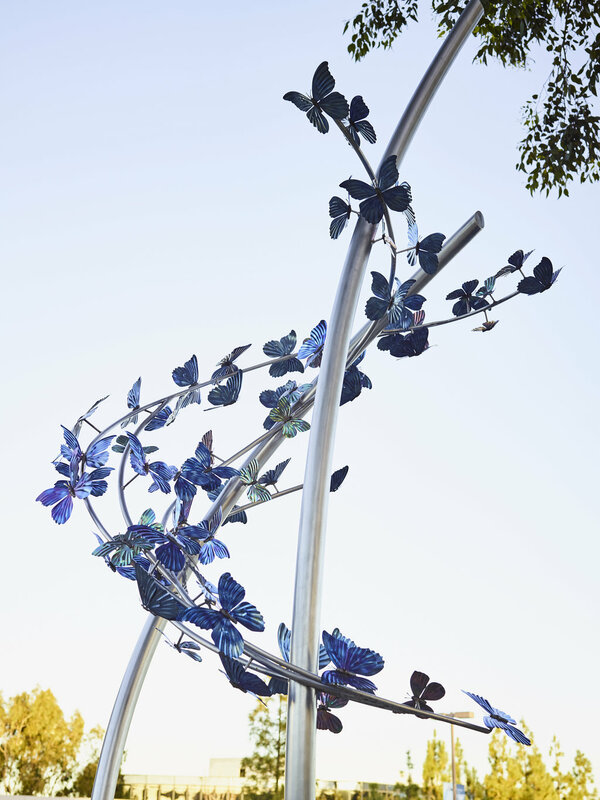 At the dedication ceremony donors’ family and loved ones were presented with commemorative plaques that featured each donor’s name on a framed titanium butterfly similar to those in the sculpture.